Robotics engineering has taken a long path ahead in 2018 and although the year has not ended, there have been exciting instances of what the future possibilities of robotics may look like. The annual Consumer Electronics Show (CES) expo in Las Vegas held in January has showcased robotic trends that will dominate and cause a change in the times to come. In the coming years be braced for automated domestic cleaning robots, companion robots, automated self-driving cars, and AI-powered health and wellbeing technology. The most influential robotic inventions that have been unveiled this year prove to have a potential to change the way mankind transacts, shops or goes about the daily chores. Here are the most enthralling Robotic Inventions of 2018 that can help put together a picture of where the future of the industry lies. 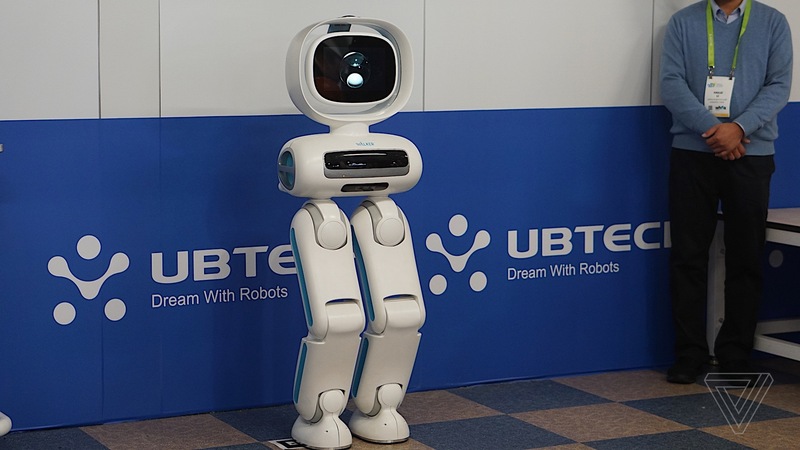 Ubtech has been a pioneer in the industry with its humanoid robots, including an Alexa-enabled robot that can perform yoga too. However, the robot Ubtech previewed at the Consumer Electronics Show (CES) expo is its most ambitious project. The Ubtech Robotics Walker is a four-foot tall bot that has true bipedal motion, which enables it to not only walk around but go up and down stairs and even kick a soccer ball. The version that was showcased in the CES 2018 was an early model and did not have arms but by the time Ubtech Robotics Walker becomes available in 2019, it will have all of its limbs, with a host of new abilities according to company representatives. The technology marvel Walker is studded with sensors like cameras in its head and torso, and auto detection sensors in its feet and sides, which help the robot, know when it is close to an object. When armed with the right programming, the robot can avoid things such as chairs and tables which come in its way. Ubtech Robotics Walker responds to vocal commands as well as visual cues and its head is a large touchscreen which has a camera on the top to control your smart home, help schedule your calendar, play music and dance, patrol the home, and provide visual surveillance and motion detection. CES 2018 showcased a notable tech the first smart suitcase custom built to follow the owner. 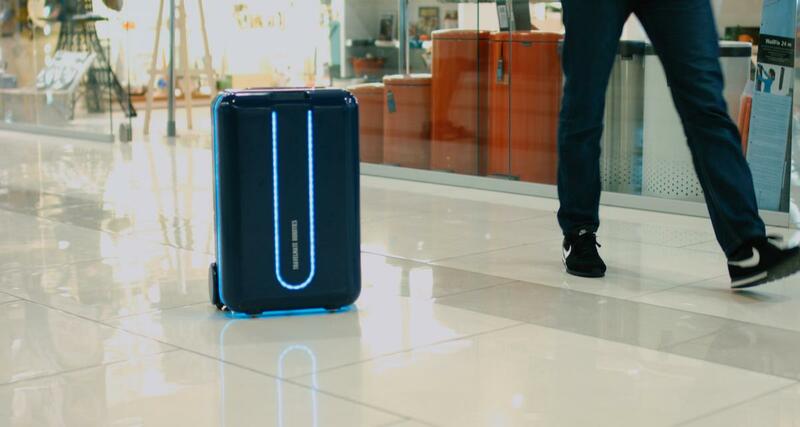 Recently unveiled ForwardX CX-1now called as Ovis is an autonomous piece of luggage designed to follow you around as you make your way from point A to B, and everywhere in between. Smart Technology isn’t it! This autonomous suitcase has been commercially launched in Indiegogo (international crowd-funding website to buy unique products), with early bird pricing beginning at $399. The robotic suitcase has been implanted with a pair of eyes and brain and represents a meeting between a wheeled gadget and computer vision, armed with the intelligence and cognition to tackle complex problems like predicting the user’s path while avoiding obstacles. Indeed, the Ovis has been branded as the world’s first self-driving carry-on robot featuring an array of advanced tech, including a 170-degree wide-angle lens that hosts a built-in facial recognition software, allowing the device to follow the user at up to 7 miles per hour. Other exciting features that include obstacle avoidance work in tandem with the suitcase’s tracking algorithm. Ovis comes with a smart wristband that works to keep thieves at bay, if the suitcase wanders out of range, the smart wristband bracelet will let the users know for an easy tracking. Do you have irregular sleeping cycles? Do you toss and turn, read for hours to finally catch a nap? What about an assisted sleeping robot that may help your way to sleep? Surprised? Well, Somnox’s sleep robot can actually do that. The Somnox sleep bot looks more like a massive peanut; you hug it, to feel the soft rise and fall of its body, mimicking the users breathing. This calming effect is programmed to lull the user to sleep, as the breathing begins to match the slower pace of the robot’s own, while the soothing sounds help to relax the mind. An app configures the breathing patterns and the music, with the length of time the sleep robot stays active during the night. The device does not provide any sleep tracking data or a smart alarm clock which makes a room for improvement. At the moment, the robot does a basic function and is firmly built around the unusual breathing action. 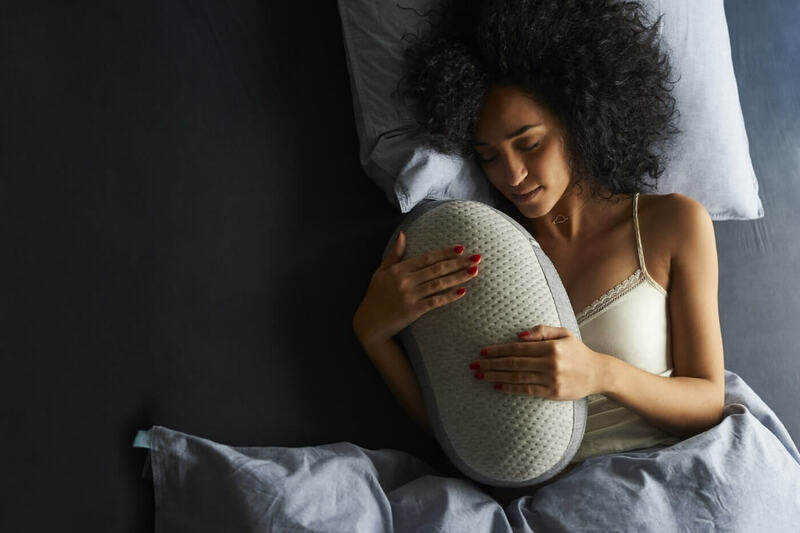 Somnox sleep bot comes with an expensive price tag it is sold through Indiegogo for nearly $600. That may be a lot of money for a gadget that may or may not help you sleep better and even does not provide any quantifiable data to establish how much difference it is making in your sleep. Boston Dynamics, known to come up with uncannily agile robots, has unveiled its first commercial product to market, a small, dog-like robot it calls the SpotMini. The launch was announced in May with the founder Marc Raibert adding that by July next year; Boston Dynamics will manufacture SpotMini at the rate of around 1,000 units per year. According to Raibert, SpotMini is currently in the testing stage for use in construction, security, delivery and home assistance applications. The SpotMini moves with the same smooth confidence as its processors rolled out by Boston Dynamics robots with names like Cheetah, Spot and BigDog. SpotMini is 3 feet high and weighs around 55 pounds, and can go where larger robots cannot. The robot comes with an optional snake-like arm, which attaches where a real dog’s head would be, and can perform tasks like opening doors. Magic mirrors that talk back to you, would not be restricted to be a feature of fairy tales anymore. Science has made technological endeavours reach new heights. The Care OS mirror is another enthralling robotic marvel. The care OS deploys gesture controls and facial recognition to give skincare advice, and plays music and even takes selfies. It is similar to other smartphone apps in development which use the camera to study and analyse its user’s dermatological health. Additionally, it provides advice about hydration and UV exposure, albeit on a much larger, domestic scale. Robomart is the world’s first driving store, and makes trips to the grocery store a thing of the past. Robomart is an AI-assisted autonomous vehicle programmed to bring you foodstuffs to order. The robot is a blessing to food retailers who can lease the technology, and autonomously fulfill online grocery orders at a speed of up to 25 miles per hour. Robomart’s pilot launch is scheduled this summer for the Bay Area in California. 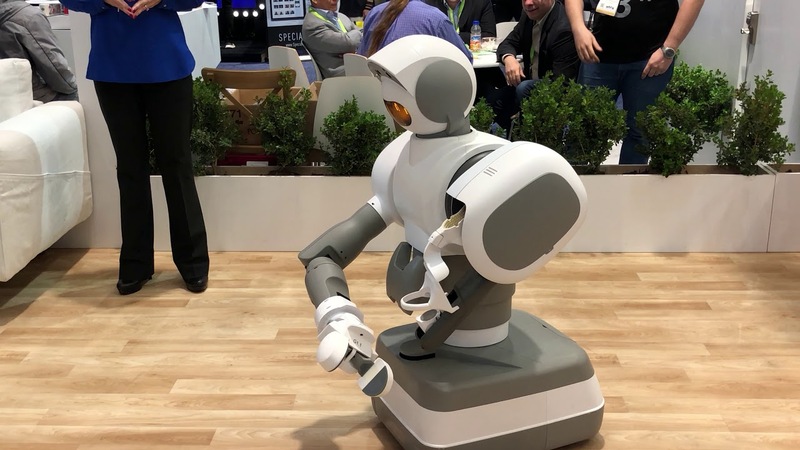 Although Sophia the humanoid has been the talk amongst robotic circles, and there have been iterations in previous years, it was at the 2018 CES that Sophia made it to the news. Sophia is the brainchild of Hong Kong’s Hanson Robotics and is one of the most impressive displays of empathetic artificial intelligence and smart technology. Sophia is a milestone in humanoid robotics, and is powered by Google which assists the humanoid hold developed conversations with humans including philosophizing, smart retorts, and even cracking an occasional well-timed joke. While the developer has not announced the commercial applications as yet, Sophia remains a truly stunning example of the possibilities offered by smart AI. Unveiled at the Consumer Electronics Show in Las Vegas, Aeolus Bot is the in-home android programmed to pick up the toys, deliver a cold beverage, and vacuum the floors while the user sits back and watches. According to the manufacturer, Aeolus Robot (pronounced “ay-oh-lus”) comes with multifunctional arms that are powered by machine learning and AI; to recognize and adapt to changing environments. The robot also learns, completes tasks, and navigates to redefine the way housework is done and frees valuable time in the busy lives of today’s families. Aeolus Bot is integrated with Amazon Alexa and Google Home, which makes it easy to communicate with an electronic servant maid. Aeolus Bot is made to understand thousands of terms, using built-in cameras, to identify faces and remembers where it last saw items, and adapts to home layouts and routines. Made by artist Giles Walker, Robotic Strippers would not be assisting in household chores in time to come; however, the robotic strippers definitely did turn some heads at the CES expo in Vegas. The robotic dancers gyrated and swayed on poles, turned their CCTV camera heads as attendees tossed them dollar bills, just as they would have done with their human counterparts. The founder, Giles Walker intended the robots as a commentary on voyeurism and the surveillance state after studying CCTV cameras throughout England. The popularity of the robotic strippers has led Walker start a side business by renting them out to corporate parties. Kuri looks bright for a massive adoption with its pre-orders already starting to ship. The robot is full of features, including its ability to answer questions and monitor the user’s home which works on an array of sensors. 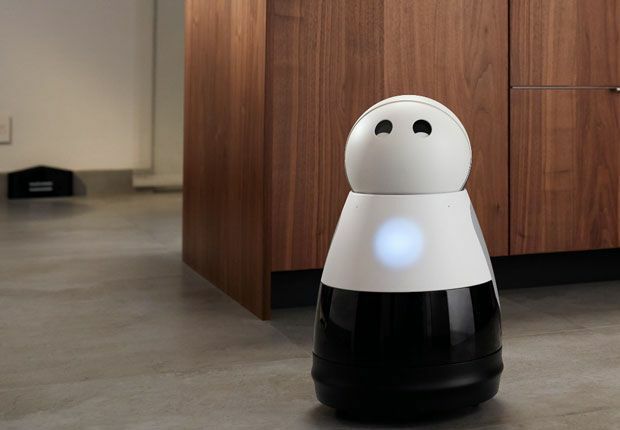 Simple in design and useful around the house, it seems likely that Kuri is the first robot that may soon become a reality in everyday life. These are just a handful of exciting innovations that 2018 has seen so far. With some months more to go, further eye-catching development in the robotics inventions will be soon witnessed. With new developments and inventions in place, it looks like 2018 will be a milestone in the field of robotics development. How Can Blockchain Impact the US Healthcare Industry In 2018?